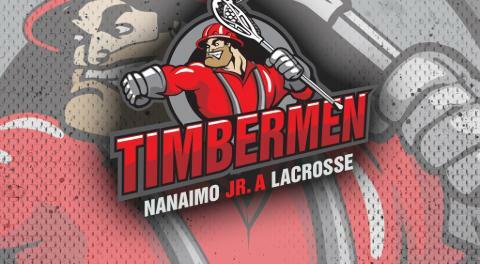 The Timbermen have their first win of the season after a 13-12 victory in Delta on Sunday. Thomas Vaesen had four goals and an assist and Colton Lidstone had five assists to lead the offense. Dakota Kasper stopped 37 shots for the victory. On Saturday the Tmen lost 20-13 to Poco on home floor. Ryan Sheridan's seven points led the way and Thomas Vaesen had six. Both Dakota Kasper and Colin Jeffrey split time in the crease. The first first third of the season is now over and the Nanaimo schedule can take a bit of breather. This week the only game is a road contest in Coquitlam Sunday at 5pm. The Timbermen will look to turn some very close losses into wins in the second third of the season as the squad continues to improve.